Ola and Uber have become the preferred mode of transport in cities like Delhi. However, the experience may not be pleasant all the time. Delhi government has realised the impact these cab aggregators have on daily commuters. Ola and Uber have become the preferred mode of transport in cities like Delhi. However, the experience may not be pleasant all the time. Delhi government has realised the impact these cab aggregators have on daily commuters. To make things easy, a new proposal has been introduced which will install checkpoints and new rules for cab aggregators as well as Kaali-Peeli taxis. According to a report by TOI, the Delhi government is working on a regulatory policy that will not only cap surge pricing but also setup various safety and security guidelines that will be made mandatory. According to the new draft, the aggregators will have to adhere to the maximum and minimum fares. Failing to do so can attract fines up to Rs 25,000 for every violation. However, if this new policy is approved, share rides may also come to an end. Though the draft does not mention shared rides specifically, it does prohibit the driver from picking and dropping different passengers from multiple points. The final decision about pool rides will be taken by a highpowered committee. Another big issue that troubles cab riders is abrupt cancellations from the driver or outright refusal to go to a certain location. The new draft will end this practice. Every cancellation will be treated as a violation and could attract a fine of up to Rs 25,000 on the cab aggregators. To take matters more seriously, the aggregators will also have to file a police complaint if there's a case of molestation or misconduct reported by any passenger. If they fail to do so, a fine of Rs 1 lakh will be charged from the aggregators. Other safety checkpoints include, a live GPS signal shared by transport department's control center. The aggregators will also have to operate separate 24x7 call centres to address grievances of their customers. The cabs will have to include a panic button within the reach of a passenger and display the driver's identity at all times. This panic button will broadcast a distress signal to local police. On the app, the aggregators will have to update them with the necessary features to make them compliant with the new policy. The app should feature a firewall to protect the rider's personal data. Kaali-peeli taxis will also have a new set of rules to follow. All taxis will need to have functional air conditioning. The taxis will be broadly divided into two categories, luxury, and economy. Luxury taxis will be cars that are longer than 4 meters and economy will be shorter than 4 meters. Economy taxis will come with canary yellow colour scheme whereas the luxury taxis will have a green theme. 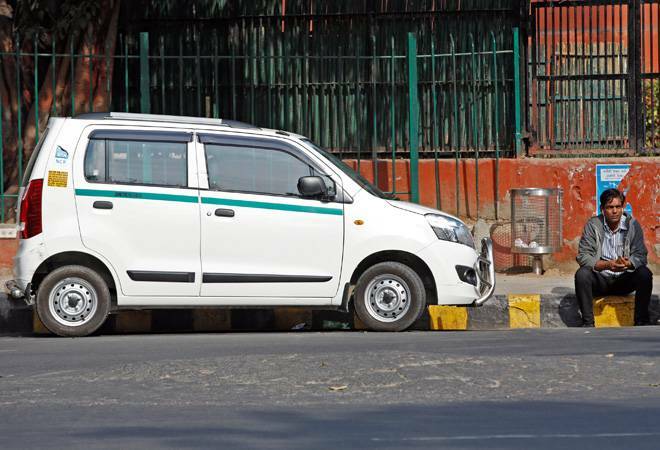 The Kaali peeli taxis will have to run on clean fuel which includes LPG, CNG or electric and should also feature a GPS service that will continuously share location data with the transport department. The taxis will have to feature an LCD panel on top which will notify the availability status; red would mean occupied and green would signify that the taxi is available.